What kind of Chococat merchandise do 당신 like best? Which Chococat do 당신 prefer? Which Chococat image is better? Is Chococat your 가장 좋아하는 산리오 character? If 당신 could change Chococat's caller what would it look like? Does anyone know what the 2010 Chococat style will be? For several years now, chococat, 다음 to Hello Kitty(in Sanrio) has been a 아이콘 for Sanrio. This adorable cat is full on ferchandise, form posters, to necklaces, to nail filers. The smell of the animal is chocolate- of course. This cat is adorable- and there is nothing to dislike. While being adorable, this is now a U.S. and Japenese icon. Chococat follows with many other famous 프렌즈 of Hello Kitty, and it may seem that Chococat is the third whel compared to Hello Kitty, but in my point of view, Chococat should be equally appreciated in Sanrio. 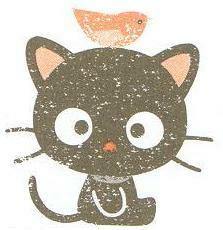 Cute online 샵 specializing in Sanrio, San-X and other japanese kawaii gifts and stationery. If 당신 missed my Exclusive Interview with the creators of Hello Kitty Online, check it out here! linkBe sure to pass it on! One of the largest online stores selling stationeries, gifts, toys and groceries at low prices. It specializes in brands such as Sanrio, San-X, Disney, 피너츠 and many more. a comment was made to the question: Does anyone know what the 2010 Chococat style will be? an answer was added to this question: Does anyone know what the 2010 Chococat style will be? a pop quiz question 추가되었습니다: When was tuxedosam's birthday? What's special about Chococat's whiskers?